Aug. 27, 2018 - Sappi Europe on Aug. 23 announced price increases for all Packaging and Speciality Papers, effective October 1, 2018. 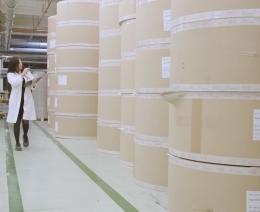 The increase will be 8% for all uncoated grades including glassine and 6% for all coated grades for Flexible Packaging, Label Papers, Containerboard, Silicon Base Papers and Paperboard. The price adjustment will apply to all European and Overseas markets. Sappi noted that its sales representatives will reach out to customers during the next weeks regarding exact pricing details, and that existing agreements will be certainly respected.